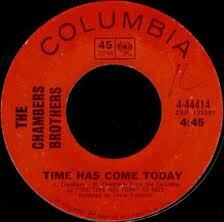 Time has come today is a song made famous by a rock group from the 60’s the Chambers Brothers. They recorded this song in 1968….I remember it as a young teen. I’m 59 now and soon to be 60 years old…yikes! I always wondered about this song because at that point of my life…time passing by for a teenager was very slow and I knew I had the rest of my life to live so what was time to me. It’s now 44 years later and I get this song….why?…because time has seemly has sped up for me now and I understand the meaning of this precious gift God has given me….”time”. Everything in life is attached to time and seasons and I’m very aware and sensitive towards that. I’m also very discerning of time and as I walk in the spirit….I find it easier to cope with and use my time according to what the Lord would have me do and be. 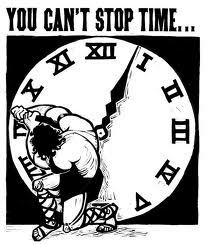 Time is up to God! His timing is something I strive… in a good way to keep up with and appreciate. There is a time for all the things so wisely written about in the scriptures above. I’ve had many seasons in my life and the seasons that I’ve loved the most has been the season of raising my 6 children and the long season of marriage to my wonderful husband. The season that has been the most precious to me is my season of committing and serving my Lord and Savior… Jesus Christ, my long season of extreme intercession from 1984-1990 and my present season of praying for people who don’t know my wonderful Jesus Christ. I’ve also had a very long season of suffering that has not been comfortable at all…but has been very profitable to my spiritual development and my eternal future…so I count it all joy because I know this season suffering has done great things in my life. This is why I have so much to blog about and have so many testimonies of victories in my life. What time is it now for me? It’s time for me to continue to endure in this race….it’s time for me to let my light shine brightly for the Lord….it’s time for me to let people see the work, time and effort that the Holy Spirit has instilled, guided and produced in me. It’s time for me to trust God like I’ve never trusted Him before! It’s time for me to pray for and go after the lost. It’s time for me to encourage the hurting and speak a word in season. 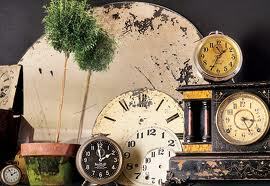 How much time do I have?….Only God knows…but I’m keenly aware of time at my age. Every day I look in the mirror and my face tells me how much time has passed. I look in the mirror and it tells me how blessed I am to still be here. No matter how much longer I’m gonna be here on this earth….I’m going make the most use of this gift the Lord has given me of………………….TIME! 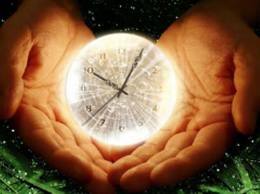 Message for today: Time is an earthly word…there is no time in heaven. Every second, minute and hour of the day is precious…are you thinking about time? 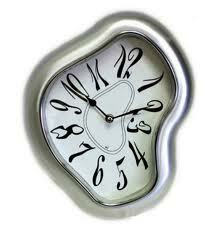 Even as I write this time is ticking away…are you aware of…….the time? Cavalier Days and the Champion Advocate « Did Jesus have a Facebook Page? This is wonderful, Tanya. I, too, have been thinking about time – its passage and its brevity. I believe time is short, and that it behooves us to use every second of every day as if it were the last. Time spent for the Lord is all that will count for eternity. Thank you for this encouraging reminder. Time spent for the Lord…….you got that right! !